Personality: A morally grey character, she's purely logical and isn't much for feeling. 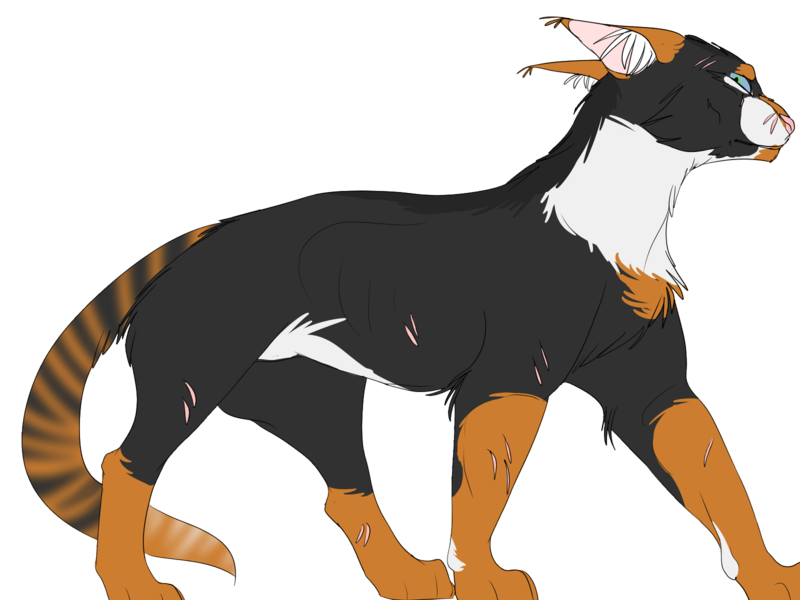 She does struggle with her blood-line and if she should have her loyalty to her mother's clan or her fathers, though ultimately she is loyal to Skyclan through and through. Amber isn't the most expressive of cats and her jokes often come off as serious, though this doesn't stop her from doing such. In the end, she does her best to support her clan and family while obeying the code to a fault.